Duck is yellow and raggedy, smells like a blanket and feels soft and woolly. He’s also a little boy’s best friend and goes everywhere with him - the bath, bed, and even up a tree. Then one day Duck goes missing and the boy hunts for him everywhere, asking the shopkeeper, the postman, the bus driver, and the dog next door. The boy has to go through his day without Duck and feels miserable. 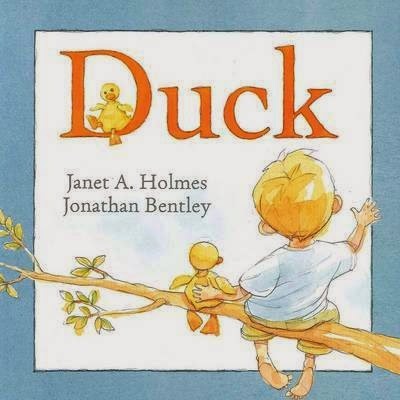 Simple text and beautiful soft illustrations help make Duck a sweet, gentle story about friends. It’s a perfect bedtime story for littlies.